It’s all so, well, very Dior. Author Florence Mueller’s take on Christian Dior’s masterpieces from a photographic standpoint is a point of view on couture elevated to the sublime. 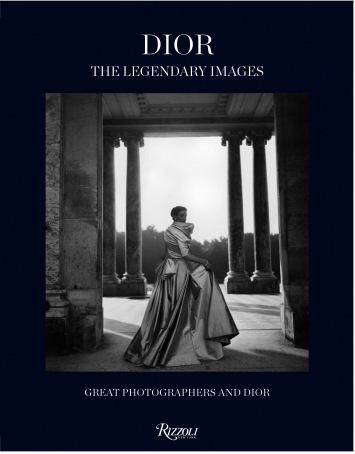 The new tome from Rizzoli New York, Dior: The Legendary Images, celebrates the history of Dior intertwined with the golden age of fashion photography. Does it get any better? These mythical photos that have constructed Dior’s image is featured in a lavish volume that bring the couturier’s dresses to life in its own unique style. Legendary contributors include photography icons like Horst P. Horst, Richard Avedon, Irving Penn, Cecil Beaton, Norman Parkinson, Henry Clarke, William Klein, Helmut Newton, Guy Bourdin, Sarah Moon, Paolo Roversi, Nick Knight, Ines Van Lamsweerde and Vinoodh Matadin, Tim Walker, Willy Vanderperre, Patrick Demarchelier, and many more. This outstanding collection takes you through more than 60 years of iconic fashion photography- a Dior aficionado’s dream. The book correlates with the exhibition that runs from May 3 to September 21 at the Musée Christian Dior in Granville, France. The talented Francis Mueller is an art and fashion historian and curator of numerous important exhibitions, and is a professor at the Institut Francais de la Mode.